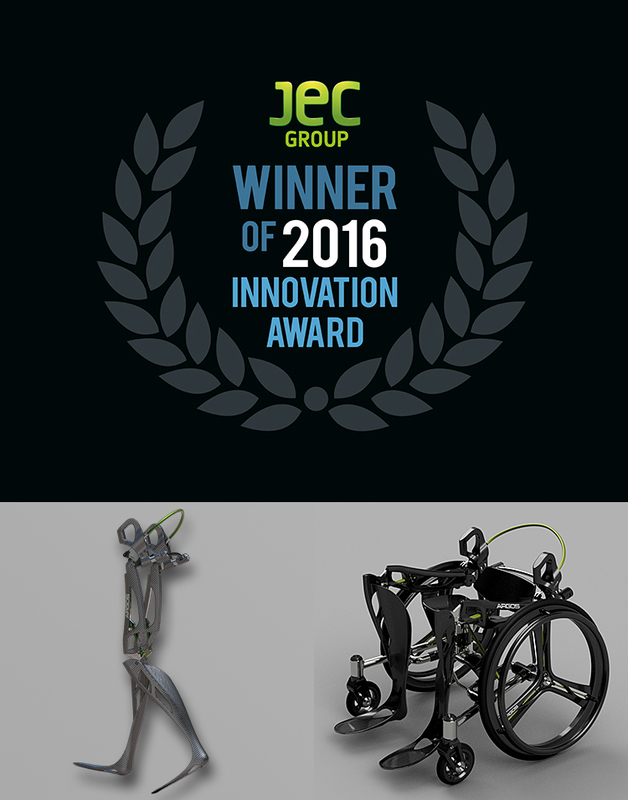 JEC AWARD | UCHIDA Co., Ltd.
Won the Innovation Award in the Better Living category at JEC World 2016 held in Paris in March 2016. The award was given for the lightweight composite bipedal walker, which we continue to develop. Our partners in this project are the wonderful Noritaka Kawashima of Research Institute of the National Rehabilitation Center for Persons with Disabilities and Tetsuya Konishi of exiii Inc.
We want to use the positive energy of winning this award to further our research and development.